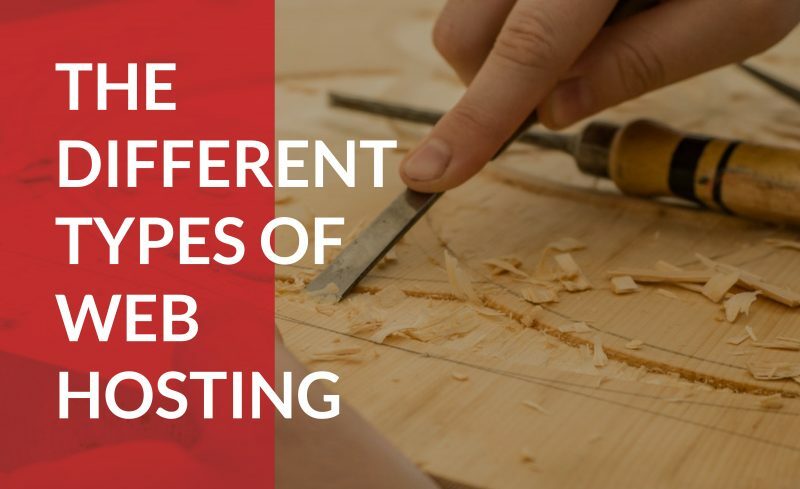 Do you know what web hosting is and how it influences your site? If this is your first foray into the world of website building and hosting, then welcome! At Domain.com we are dedicated to assisting you with your web hosting needs from the start of your idea. We know that there is a lot to learn, but that doesn’t mean that it has to be difficult. We’re committed to making it simple. With our helpful guide, we will walk you through the basics of web hosting by examining the most popular solutions available today. Shared hosting is the most basic form of web hosting available. Purchasing a shared hosting plan is like renting a home with a few roommates; or in this case, up to a few thousand. When you purchase this type of plan, your business’ domain will be housed on a web server along with those of a few hundred to a few thousand other businesses. Generally, this works just fine as most of the web pages being housed on the server are relatively small and supported easily with little risk of site speed interference. Cost–As with any shared living situation, the most obvious advantage is splitting the cost of rent between multiple parties. When a hosting provider is able to split the cost of operating a single server between a couple of thousand clients, they’re able to offer very affordable rates. Beginner friendly—Generally, all your needs regarding setup will be accommodated under a shared hosting plan. This allows you the freedom to focus your attention on the development and web design aspects of your webpage instead. Unfortunately, when sharing living space (or any other resource) it is always possible that you will run into competition for said resource. This is precisely what can happen when using a shared host. Bad neighbors — the “bad neighbor effect” (yes, it is actually called that) is a phenomenon that occurs when one website on the shared server begins to hog resources, usually due to unusually high traffic or poor coding. This tends to result in slower loading speeds or operational downtime, which means it is more difficult to reach your website. Customer service –– obviously, when a bad neighbor situation arises, every other website owner on the server is going to hop on the customer service line pronto. Unfortunately, when there are so many mouths to feed it is difficult to accommodate them all efficiently. Additionally, the incentive for companies to do so is rather low, given that most websites are only yielding the company $5-$10 each. Inflexible –– Shared hosting does not allow you to customize your environment, since making changes to your own would affect every other website on the server. If shared hosting is comparable to sharing a house with roommates, then VPS hosting, which stands for Virtual Private Server, is a lot like renting your own apartment in an apartment complex. VPS offers a number of key advantages over simple shared hosting that make it far more desirable overall. Reliability – Reduces the number of websites per server from a few thousand to about 20, decreasing the demand on the server. Resources are allocated evenly between websites. No single website is allowed to exceed its set share. Flexibility – VPS servers offer the ability to customize your environment since you are virtually partitioned from the other websites on the server. Scalability – Since you have a measured portion of the server’s resources dedicated to your website, it is a simple matter to increase the amount available to you. Cost — naturally, with added advantages comes added cost. The cost of VPS hosting ranges from around $20 per month at the lowest to $50 on average and is scalable all the way up to around $200. The disadvantages of using VPS hosting are few and negligible. Many marketers agree the increased capacity allowed to your website quickly covers the increase in cost from VPS hosting. Dedicated hosting is recommended for big companies with big websites and big needs. When you choose dedicated hosting, you enjoy a server dedicated strictly to running your website, and all its advantages. The advantages afforded by having a dedicated server are unique and significant in comparison to shared and VPS hosting. No bad neighbors — Since the server is dedicated strictly to you, you don’t have any neighbors at all. Reduced security risk — Without neighbors, there is far less risk of security issues. Total flexibility — Most hosting companies allow extensive customization with a dedicated hosting plan. You have full autonomy to choose your desired operating system, amount of memory, and various other hardware features. Customer service — As you would expect, big companies putting up big money for web hosting services net more attention on the customer service end. There are some distinct and rather consequential disadvantages to hosting your website on a dedicated server. We’ll start with the obvious and go from there. Cost — The pricing jumps significantly with this type of package, ranging anywhere from $60 to $350 per month. Technical knowledge—Managing your own server requires a good bit of technical acumen, particularly if you are using a fully unmanaged service. Security—By hosting your website on a dedicated server you are essentially putting all your eggs in one basket. Should the hardware fail, your website will experience downtime until your own technician can get it up and running again. Many web hosting providers will offer solutions to mitigate the negative aspects of using a dedicated server. For instance, your hosting provider may offer you the option to hire a service manager with the technical knowledge to take care of installation needs and oversee security. Of course, this comes with additional cost. However, it is expected that a company large enough to require such services will be able to absorb the additional cost. Cloud hosting was developed as an innovative way to pull all the juice you need to run your website from a host of different computers, as opposed to a single server. It holds a lot of similarities to VPS hosting, so much so that many hosting companies refer to it as Cloud VPS. Increased scalability may be the single largest perk that cloud hosting offers over the others, particularly its cousin VPS. With traditional VPS, you can scale up, but only to the extent allowed by the capacity of the single server that houses your unit. A cloud-based system, on the other hand, allows you to scale much further by combining the power of a multitude of computers. These networks form a virtual server that allocates resources based on need, so your potential for scalability is effectively endless. An advantage that cloud shares with VPS and shared servers is that setup is essentially handled for you by whoever manages the host servers. The technical knowledge required to run a dedicated server is not required. Cloud-based services are billed differently than other services as well. As you will notice, every other type of package comes with a set price for a set amount of web resources. You will be charged the full amount for the number of resources allocated to you whether you use them or not. This is not the case with cloud-based servers. In this case, the price is incurred as the resources are allocated; based on need. You will only be charged for the resources you actually use. Cloud hosting is also remarkably resilient against cyber-attacks, particularly of the DDoS variety. This type of attack is designed to overwhelm a server by sending huge numbers of requests at the same time. A cloud system is able to distribute these requests throughout the network and minimize their impact to keep your website up and running. Frankly, there are hardly any disadvantages to speak of. It is true that traffic spikes and the subsequent increase in resource consumption can make predicting cost a little tricky. However, this tends to be a rather minor concern since increased traffic tends to increase revenue, allowing a business to absorb the additional cost. Self-service web hosting is precisely what it sounds like. Should you choose to undertake a fully self-sufficient hosting operation, you will be responsible for providing all of the following, and more. Essentially, you have a system that is customized and optimized to fit your needs. The only limits to what you can do are dictated by your budget and your technical expertise. This type of hosting is generally well beyond the scope of what is necessary to run an online business, especially a small one. There are a select few, though, that are both large enough and run their businesses entirely online, who might opt for this type of hosting system (for example, Amazon). However, the cost and level of effort necessary for the upkeep of a system like this will likely make this option prohibitive. Website templates — Help business owners who may be new to website building. Technical support — Built-in tech support allows better access to IT services than traditional shared host services, which are often lacking. Private name servers — Used to give the appearance of authority by making your company seem larger. For the person(s) attempting to resell premium hosting space, the main advantage is profit. However, there are a couple of other advantages for those purchasing resold hosting space. Access to the tools listed above, particularly website templates and tech support, dramatically increase one’s ability to navigate a web buildout without acquiring a lot of technical knowledge. In short, it saves time and resources that can be used elsewhere. Fortunately, with features such as built-in tech support, many of these issues can be resolved in a more efficient manner. This makes resold space worth the consideration, especially if you have been burned in the past and are looking to make a change while staying within your existing budget. While there are a few variations on hosting solutions that are available, most are built around the models explained above. At Domain.com, we aim to help you find the best solution to fit your needs and your budget. This is why we offer a wide array of web hosting packages at competitive prices.